KUALA LUMPUR: The International Monetary Fund (IMF) is projecting Malaysia’s real gross domestic product (GDP) growth at 4.7 per cent for 2018, compared with an earlier forecast of 5.3 per cent made on March 7. The IMF said headline inflation was declining and expected to average around 1.1 per cent this year. “Credit growth has rebounded recently and capital outflows have been manageable. The current account surplus is projected to decline to 2.1 per cent of GDP,” it said in a statement today. An IMF team led by Nada Choueiri visited Kuala Lumpur and Putrajaya from Nov 29 to Dec 12, 2018, to complete the 2019 Article IV Consultation with the government. 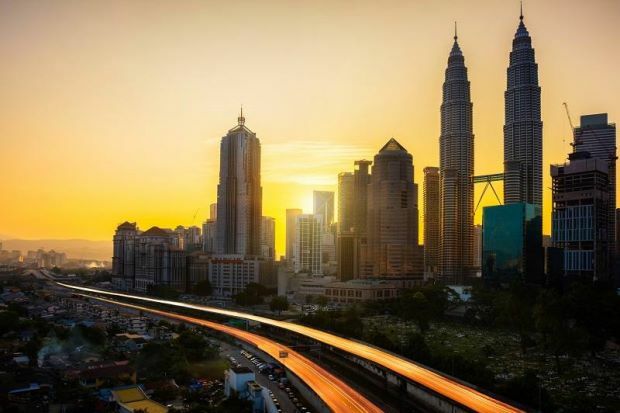 Looking ahead, IMF said Malaysia’s 2019 real GDP growth was projected at 4.5 to 5.0 per cent with domestic demand remaining the main driver of growth, while the US tariffs on imports from China were expected to have an overall adverse impact on the country’s growth. The monetary fund said inflation should average 2.2 per cent, as the effect of the Goods and Services Tax removal dissipated. “The risks to the growth outlook are to the downside. On the external side, Malaysia is vulnerable to rising protectionism, a sharp tightening of global financial conditions, and weaker-than-expected growth in trading partners. “Domestically, contingent liabilities could necessitate additional measures to ensure medium-term fiscal sustainability,” it said. The IMF said while the budget deficit projected for 2018 represented a delay to the fiscal adjustment, the government’s planned pace of fiscal consolidation for 2019 was appropriate and would help build buffers and maintain financial market confidence. “In the medium term, fiscal policy should follow a gradual consolidation path. The composition of adjustment should be improved to make it more revenue based, making room for increased social spending to support inclusive growth. “Malaysia’s monetary policy framework has performed well, delivering price and output stability. The current broadly neutral monetary policy stance is appropriate given close-to-potential growth, no inflationary pressures, and gradually tightening financial conditions,” it said. IMF said continued reliance on exchange rate flexibility and macroeconomic policy adjustments should be the first line of defence against external shocks. “The financial system seems well positioned to cope with standard shocks. Bank profitability and liquidity are sound, and the corporate sector is only moderately leveraged. “Household debt is high, but declining as a share of GDP, and risks in the housing market appear manageable. Although the financial sector is resilient at present, the authorities’ close monitoring and active consideration of measures to mitigate risks are welcome,” it said. Governance reforms, the IMF said, could help improve transparency and accountability and the efficiency of public services as it would be important to sustain the momentum in governance reforms and anchor them in appropriate legislation to secure the independence of key institutions, and strengthen checks and balances.